Heat the oil, sauté the onion and garlic. Add the aubergine and cook for approx. 10 mins. Add the edamame beans and spinach, heat through until the spinach wilts. Cook the spaghetti in salted water until al dente, drain the spaghetti and reserve approx. 100 ml of the cooking water. Puree all the ingredients until smooth. Mix the sauce and reserved cooking water in with the vegetables, heat through. 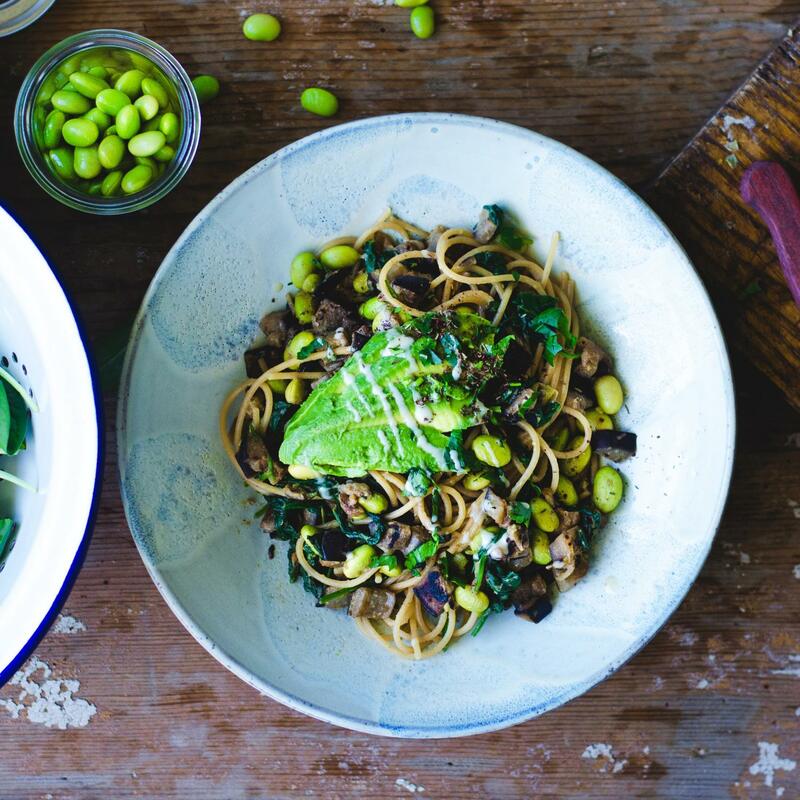 Serve the spaghetti on two plates, garnish with the avocado, tahini, zatar and parsley.